The one of a kind design of this extravagantly shaped console in a walnut finish with matching glass top is transcended by the delicately designed surfaces which streams in a never-ending line from cabinet-to-cabinet. 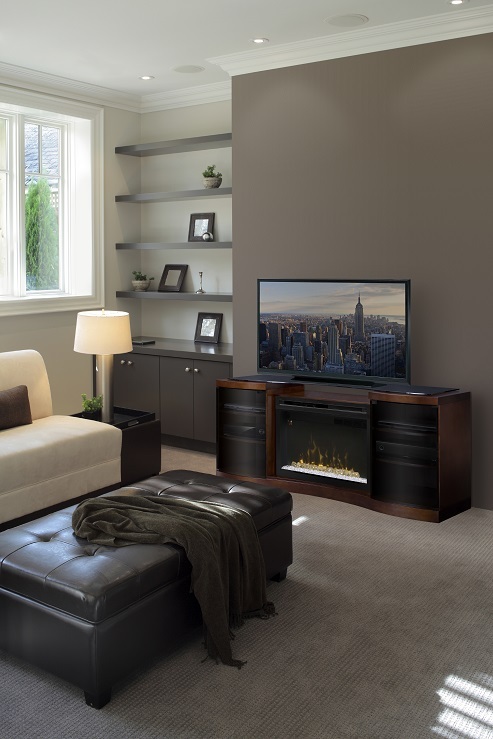 Matching perfectly with the our state of the art, fabulous Multi-Fire XD™ Electric Firebox including Comfort$aver™ heating system and gWave™ gesture recognition technology, the Acton will be the focal point of your dreams to any space decor! 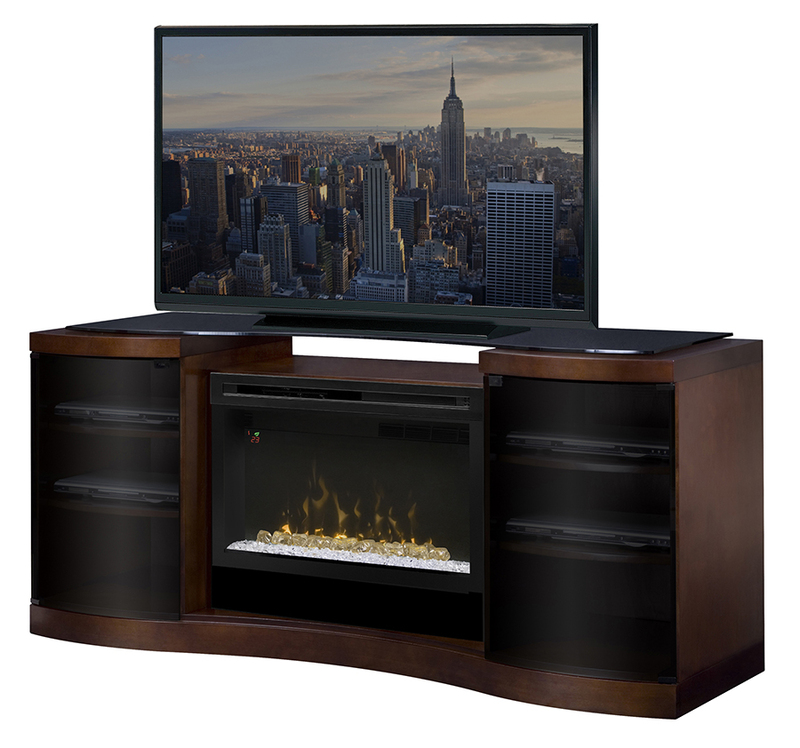 Multi-function remote: Includes a multi-function remote control - control all fireplace features with the touch of a button. Instant Ambience: Plugs into any standard household outlet.